The erect stems have pinnate leaves and produce clusters of large, attractive, white flowers, The late summer fruits that follow are very large, bright red and juicy. Excellent, sweet flavour that is very pleasing. 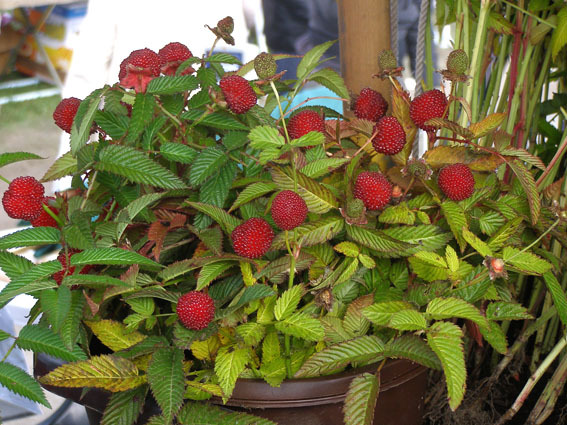 A strawberry/raspberry cross that should be grown like you would a shrub. Requires no support and excels in the shrub border for picking and eating fresh as you walk through your garden. Quite different. A very attractive and enjoyable cultivar to grow. A novelty fruit.